Don’t let the title put you off: Jersey Tomatoes Are The Best is not about gardening or Snookie. 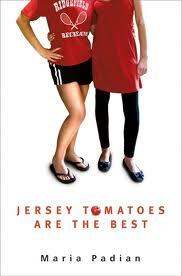 The “Tomatoes” are talented Jersey gals like the author, my friend Maria Padian. Eva attends ballet camp in NYC, and Henry (don’t call her Henriette!) 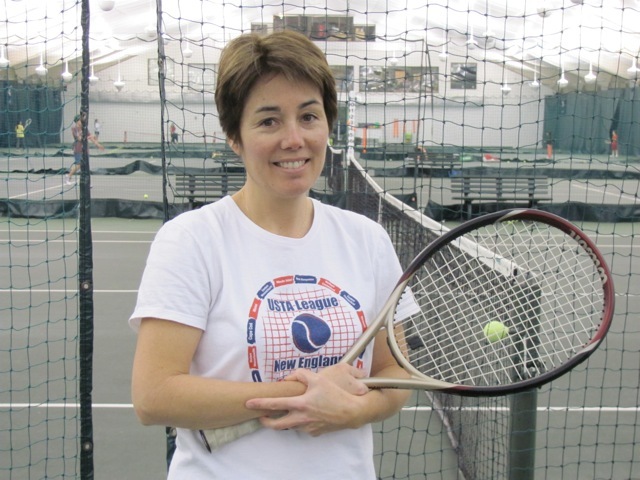 travels to Florida to be coached for junior-circuit tennis. They narrate in alternating chapters with distinct voices, keeping connected via cell phone. Pushy parents, rival peers and demanding schedules plague them to varying extents. This newly released young adult novel shows the sacrifices that come from seeking perfection, especially at a young age. Henry’s story could stand on its own. My favorite character was her roommate, Yoly, who introduces Henry to Cuban American culture. Tennis superstar David adds romance and shows us the glamorous world of pro tennis. Henry’s nightmare sideline dad-coach provides comic relief. Interestingly, Maria originally intended for Tomatoes to be just Henry’s story. It was a later decision to break the narrative in half to give Eva her own voice, or rather voices. Maria’s teenaged daughter made this excellent suggestion. Eva’s tale is more inward than Henry’s; it follows the emotional arc into mental illness. The main secondary character in Eva’s story is her horrible inner voice, who tells her she's fat and ugly. Her struggle with anorexia is heart rending due to its realism. The triumph of Tomatoes is that anorexia does not consume the character. Eva is more than her disease; she’s a talented dancer and a good friend. It was also easier to read about her downward spiral because Henry’s sunny story balanced the darkness. Henry models a healthy attitude toward diet and exercise . . . and she looks like a Victoria Secret model. Good message! Tomatoes would be an excellent book to share with your children or students for a discussion on body image. My beautiful 13-year-old daughter is both a dancer (shadow photos) and an athlete. She is also a healthy eater with a big appetite for young adult fiction. Jersey Tomatoes Are the Best definitely deserves a spot on my bookshelf. There is friendship, horror, romance and humor. The book is an eye-opener, and I enjoyed the two narrators. Although their parts are drastically different, I thought they counter-parted each other very nicely. Henry’s chapters were light, fun and comical, while Eva’s were very deep, disturbing, passionate, and at times repulsive. Eva’s chapters definitely kept me on the edge of my seat, and they were very different than anything I’ve read before. Though frightening, I thought Eva’s storyline was real. So many girls out there have eating disorders, but not many people talk about it. This book showed the horrors of anorexia and the true-to-the-bone feelings of Eva, which I thought was very fascinating, riveting and added an edge to the book. Tomatoes is a gripping story of two friends who are always there for each other through the best and the worst. It is a definite must-read. Author Maria Padian by Betsy Evans, her tennis teammate. What’s the story behind your title? Maria: the title is from a T-shirt I owned when I was young. It’s a play on words, since tomato is slang for girl. So that T-shirt and yes, my title, essentially say Jersey Girls Are the Best. It’s the mantra for my main characters, two teens who feel a tad defensive about being from New Jersey. But while the setting and the background noise of the novel is largely New Jersey, the book is not about Jersey. Henry and Eva are talented kids facing extraordinary pressures, and the novel is about battling your demons, making healthy, life-affirming choices, and taking ownership of your future. How did you get from New Jersey to Maine? I fell in love with New England when I attended college in Vermont, so while I lived and worked in the south for a while (Virginia, Georgia, Washington D.C.) I always hoped to “settle” north. Maine’s wonderful hiking, canoeing, skiing and camping drew my husband and me to the state, so 20 years ago we found work here and put down roots. Those woods at left are where Maria and I often meet for walks to talk about books and writing. 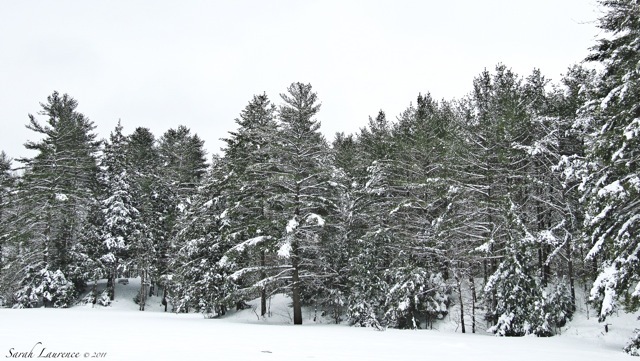 Yep, that's what Maine looks like in early March. How did you research anorexia and what made you write about it? I have never struggled with an eating disorder myself; however, through high school, college and into my adult years I have known friends and family members who have struggled with eating disorders. They, along with professionals, have shared their stories and insights with me. I have been inside treatment centers and attended counseling sessions. I have wept with anguished parents who fear their daughters will die. I have been brought to my knees, watching helplessly as someone I care for disappears behind the veil of irrationality which is anorexia. Despite all that is known about this illness and all the strides we have made in combating it, I have been bewildered by our ability to bear witness yet say nothing. Young people skip meals, become achingly thin, retreat from their friends and the rest of the world, and we say … nothing. We claim that we want to “respect their privacy.” We don’t want to “assume.” This situation, which must change, fueled my desire to tell Eva’s story. The world of junior tennis and of pre-professional ballet in Tomatoes felt very real and detailed. What’s your background in those fields or was it researched? I play tennis, and still play competitively, although not nearly at Henry’s level! As a result, writing the tennis scenes was easy for me. I also had an opportunity to tour the Evert Tennis Academy in Florida, and speak with a representative there about the work they do with young players. Evert makes a real commitment to helping players maintain a good balance in their lives and stay healthy. The ballet sections took some real work, because I don’t dance and have never taken a single ballet class. I relied heavily on interviewing young dancers, reading books about ballet, combing through autobiographies of my favorite dancers, and even watching ballet how-to videos. I once tried standing en pointe in some borrowed slippers. That lasted about one excruciating second! Luckily, I’m a big ballet fan so getting up to speed on the dance sections was a real labor of love. What was the inspiration for the Cuban American character, Yoly? The inspiration for Yoly came from two places: first, my mother. My mom is Latina and like Yoly, when she speaks Spanish she is one person; when she speaks English she is another. It's something you've got to see to believe! My second inspiration came from visiting Calle Ocho in Miami's "Little Havana" and eating some pretty amazing Cuban food. I grew up eating my mom's arroz con pollo, but it was nothing compared to the roast pork and black beans I found on Calle Ocho. I couldn't resist putting that pork in Tomatoes! Do you think “write what you know” is good advice? Write what you know is emotionally true. Write from the place where you can relate to the characters and the situation. For example, I can’t dance. But I do know about performing. I was a classical pianist for many years, and as a teen actually prepared for a piano competition at New York’s Carnegie Hall. I believe that experience enabled me to write Eva’s sections of the book. 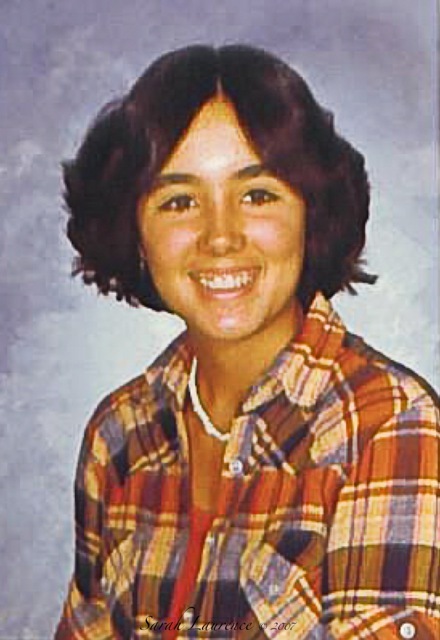 That's a yearbook photo of me at age sixteen (at left) near the age of my main characters. I had just returned from a week at the Jersey Shore . . . that's where I got those pooka beads. Can you tell us about your next young adult novel? It’s set in Lewiston, Maine, and the narrator is a 17-year-old boy who befriends a Somali immigrant who plays on his soccer team. Lewiston is a predominantly white, Catholic, Franco, former mill town, which has seen a huge migration of refugees from Somalia and other nations over the last decade. This is the first time I’ve written from a male point of view, and the first time I’ve set a fictional tale in a real place, against the background of actual events. I feel tremendous pressure to get this “right,” especially because I have been so moved and inspired by the amazing people I’ve met in Lewiston, especially the teenagers. The projected publication date is fall 2012. Tomatoes' release date: March 8, 2011. Thanks for joining us today, Maria! I’d also recommend two other well-written novels about eating disorders. 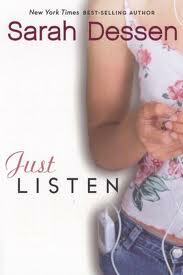 In Just Listen (2008) by Sarah Dessen the protagonist’s sister is an anorexic model. Dessen does a great job in engaging the reluctant reader, but the eating disorder plot is secondary. 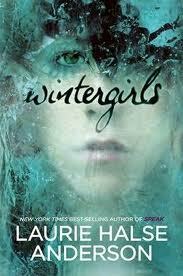 Winter Girls (2010) by Laurie Halse Anderson is more grimly realistic and focused, but the protagonist is anorexia, not the girl. "I am the space between my thighs," says Lia. The haunting images of this exquisitely crafted novel terrified me. In both of these books, however, I never got a sense of the characters beyond their afflictions. Eva in Tomatoes felt more real. Disclosure: I borrowed the Tomatoes ARC from Maria at my request. I will be buying a finished copy for us. I also reviewed Maria's debut Brett McCarthy: Work in Progress. 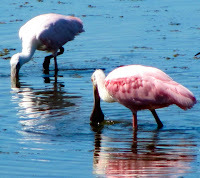 The Roseate Spoonbill birds and Alligator photos were taken by Maria in Florida. I borrowed Wintergirls from Maria and bought Just Listen myself. No free products were received for these reviews. Baby Watch: congratulations to Denise and David @ The Education of a Pulp Writer on the birth of their first child! Their daughter is called Ava, which is also how you pronounce Eva, one of the MC’s of Tomatoes. Sarah, A fine review and interview. And nice to see another writer that has fallen in love with Maine. I'm beginning a list called Ava's TBR and this will be added with the link. We're still many years from reading it but nothing but quality for my little girl. Thank you. I am intrigued how more and more authors are employing alternating storylines to deepen YA fiction. It's an approach I have yet to attempt, but makes the book feel more like a dialogue among peers in some ways and for that reason, is very tempting. Thanks for another great mother-daughter review! Your personal connection to the author makes the interview extra special. I felt like I was walking along with the two of you and listening in on the conversation. That term--tomato equals girl--is a new one on me. Quite appropriate, I think. Sarah, those shadow pics are exquisite! Your daughter is a beauty. Love the mother/daughter reviews. And wonderful interview. Good review and interview. The books sounds much more interesting than I expected. Loved the silhouette photos of your daughter. I love ballet though I could never do it. David, I love that you are already making a TBR list for your newborn – lucky girl! I had a monthly book allowance growing up and have passed that tradition on to my own kids. Tracy, our town in Maine is a writer’s haven. It’s crawling with authors. I love the stimulation of having others close by to talk about writing. Maria is one of the local authors who encouraged me to try my hand at YA. Stacy, I love alternating narrators and am employing that POV in my WIP. It adds so much to a story to get a dual perspective, but it’s much harder to write and to revise. I was impressed by how well Maria handled this – she makes it look easy. W2W, it’s extra special having a personal connection to Maria. I feel like I grew up with TOMATOES, hearing Maria talk about its evolution over the years she was working on it. I’ll show your comment to my daughter, thanks! I actually suggested to Maria that they put a silhouette of a dancer and a tennis player on the cover. The book is way better than the conventional cover. Authors don’t get much say on covers. Kaye, I actually think it’s more important that moms and daughters read this book before the problem develops to avoid it. Linda, it’s natural to feel repulsion for this disturbing topic, but the books are very readable and all quite different. I also prefer watching ballet to doing it. What amazing photos of your daughter! This book sounds really great for teen/preteen girls with a message that is too often drowned out. Thanks for a great review! Can't wait to read this one! Sports and Jersey - yay! I'm also fascinated by the alternating point of view. Thanks so much the review and interview. Keri, you especially will LOVE this book. I’ve been wanting to connect you and Maria. Sarah, loved the reviews/interview as usual. You always bring so many perspectives on the book you're reviewing and its themes. Tomatoes sounds like a really interesting and relevant read. And it's great to see so many Maine authors spot-lighted! As usual, the complete package, except with TWO reviews this time! Very informative....thank you. I'm deeply impressed by the level of research for this book--one reason why the characters come across as real, I'm sure. Congratulations, Maria! I like the way the character of Henry balances out the character of Eva; sometimes a little comic relief helps in getting across a very serious message. Another great review, Sarah, and I always enjoy the interview with the author. Love the shadow shots of your daughter! once again, excellent reviews by both mother and daughter. the double narratives are intriguing from both a story standpoint as well as a stylistic device. as you mentioned, the henry character seems a suitable foil for eva, as well as helping to avoid the book becoming quagmired into yet another anorexia narrative. i also like the pairing of two distinctive activities for young women. sounds like a great read! btw love the shadow photos of your talented dancer/athlete! Thank you for these two fine reviews and an author interview. I loved Winter Girls and Just Listen. Jersey Tomatoes sounds wonderful as well. Maria, what a fun 16 y.o. photo of you! Dear Sarah and Daughter, Once again I have been thoroughly intrigued by your comprehensive reviews and interview. 'Jersey Tomatoes are the Best' certainly does cover a number of challenging and thought-provoking themes. I was particularly interested to read that the author had to carry out so much research as many of the themes were outside her own immediate experience. I agree that Anorexia is a most worrying disease....a silent killer which needs a voice in order that young people can hear the warnings. I am sure, from what you write, that this book would do this most successfully. Great review and interview. Of course, following your visit, I couldn't miss the bit concerning Cuban-Americans, a group much talked about in the Diaspora but very rarely talked to. I loved the novel's title. I like names that bear a cultural imprint. What Maria says about her mum being one character in English and another in Spanish certainly rings true with me. My inflection, accent and tone in English change depending on whom I'm talking to. Whereas in Spanish I let my hair (in twists at the moment) go completely. My kids can tell the difference. Funny, also, that one of my blog-buddies is called Yoli. That's short for Yolanda, the name of one of the more beautiful songs ever to be penned in Spanish, by the Cuban singer songwriter Pablo Milanes. Thank you very much for such a fab post. Sarah, an important topic. I taught gr. 7 & 8's and know they are at-risk in many ways! Well done. You did her justice. Thanks for visiting my review, too. Dear Sarah, What an interesting post. Review and interview by two about two is quite unique! Well Done! Your silhouettes of your daughter are charming! I enjoyed the interview and the personal touch. God bless you. Alyssa, thanks, I do try to feature a good selection of Maine authors here. Ellen, good point about how realistic, well-researched details can bring fictional characters to life. You and Maria need to meet some day, as Maine authors writing for tweens and teens. Rose and Amanda, yes, the comic and tragic stories balanced each other well. Barrie, thanks for adding your endorsement of the other 2 novels and for hosting the book review club. If you loved those books, you’ll love TOMATOES too. Edith, yes, I think this novel will encourage discussion and taking action on anorexia. ACIL, I love that image of your transformation. Jenn, I’m sure you were a wonderful teacher. I'll mention this book to my 18 year old daughter. I think she would find it interesting. She has a couple of friends who are anorexic and she often struggles with how to maintain their friendship without being preachy or judgmental but instead trying to help them lovingly...it's sometimes a tight rope to walk. I like your mother/daughter perspectives as well. And lastly, LOVE the photographs of your daughter - simply enchanting. Cat, I’m sorry your daughter’s friends are struggling with anorexia, but they are lucky to have a supportive friend who is concerned. Eating disorders -- and negative body images -- are issues that most women deal with at some point in their lives. I really liked the fact that this book seemed to deal with the issue realistically -- and yet have a lot of other positive things going on, too. Your author interviews are always so interesting! Publishers are missing a trick, I think. They should consider putting something similar in the back of novels --for those readers (and there are many of us, I'm sure) who would like to know more about the author and the novel's inception. Another wonderful combo combo: mother-daughter and review-interview. So much here to enjoy, Sarah. I really appreciated Maria's answer to the question write what you know--write what you know is emotionally true. Well said. Bee, some publishers include author interviews in the back of paperback editions. I always enjoy that feature although it makes me less inclined to interview the author myself. I do like digging for the personal story behind the book. Cynthia, I agree that Maria made a good point about emotional truth. However, it is easier for novice writers to start out with what they know both emotionally and factually via experience. After the first book, though, I can understand why authors want to explore beyond the immediate. Part of the fun of writing is having new experiences to write about them. I like how Maria combined book research with interviews and even trying to stand on point herself and then grounded it in her own experience of performing musically on stage. Still, the tennis parts seemed a bit better informed due to her personal experience or maybe it’s just that my daughter and I know more about ballet than tennis. The emotional truth, however, was equally balanced between the 2 narratives. That’s what makes it believable.